How Does Our Will Writing Service Work? We are based in the Kesgrave area of Ipswich providing professional Fixed Fee Will Writing Services helping both new and existing clients to make a Will. Our Will Writing Service includes an initial free no obligation Will Writing Consultation. This allows us to discuss your wishes in full. Explaining how our Will Writing Services can help you to make a Will that ensures your loved ones and future generations are protected. For local home consultations, we cover Ipswich and surrounding areas, including Kesgrave, Martlesham, Melton, Woodbridge, Felixstowe, Framlingham, Saxmundham, Leiston Stowmarket, and Needham Market to name a few. So please feel free to Contact us to arrange a Home Visit. Why Make Your Last Will and Testament With Us? Making a Will is the only way to ensure your estate goes to who you want it to go to when you die. We offer a transparent Fixed Fee service so that you know from the outset what the costs are. Not making a Will can pose all sorts of problems for the people you leave behind. It could also mean that your inheritance either goes to the wrong person or to the Crown through the laws of intestacy. When choosing someone to create your Will you need to ensure that you are choosing a professional service. 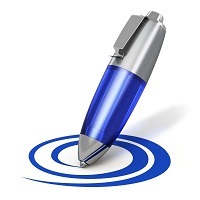 We operate under a self-regulatory regime for Estate Planners & Will Writers. We work to a professional charter and hold professional indemnity insurance cover. So you can use our Will Writing services with confidence. If you ask us to proceed with your Will instructions. Your Single Will or Mirror Wills are then created in line with STEP Society of Trust and Estate Practitioners Standard Provisions and all of the Special Provisions of the Society of Trust and Estate Practitioners (2nd edition). Before your final bound Will document is created. A Draft copy of your Will is always provided for you to check and approve. Book your Free Will Writing Consultation today and we can arrange to make a fully legal Will in the comfort of your own home.